The wild marriage of Billy Bob Thornton and Angelina Jolie kept us all on the edge of our seats from 2000-2003. The couple was known for their eccentricity, and even wore viles each other’s blood around their necks. After their split Thornton explained, “We just had different lifestyles. Hers is a global lifestyle and mine is an agoraphobic lifestyle,” he joked. “So that’s really, that’s the only reason we’re probably not still together, maybe. There was a different path in life we wanted to take.” One thing is for sure, it was a wild ride! 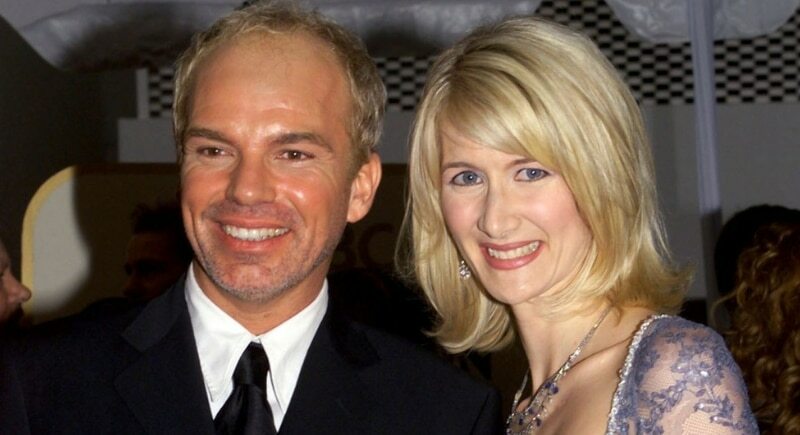 Before Angelina entered the picture, Billy Bob Thornton was dating, and briefly engaged, to actress Laura Dern from 1997 to 1999. The bad boy movie store reportedly left his wife for Angelina, Dern explained “I left our home to go and make a movie, and while I was away my boyfriend got married, and I never heard from him again.” That is definitely one brutal way to breakup.